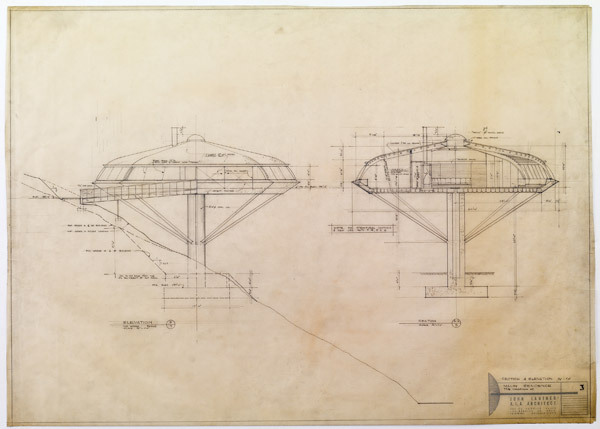 Between Earth and Heaven: The Architecture of John Lautner is the first large-scale museum exhibition devoted to this innovative, yet underappreciated, American architect. 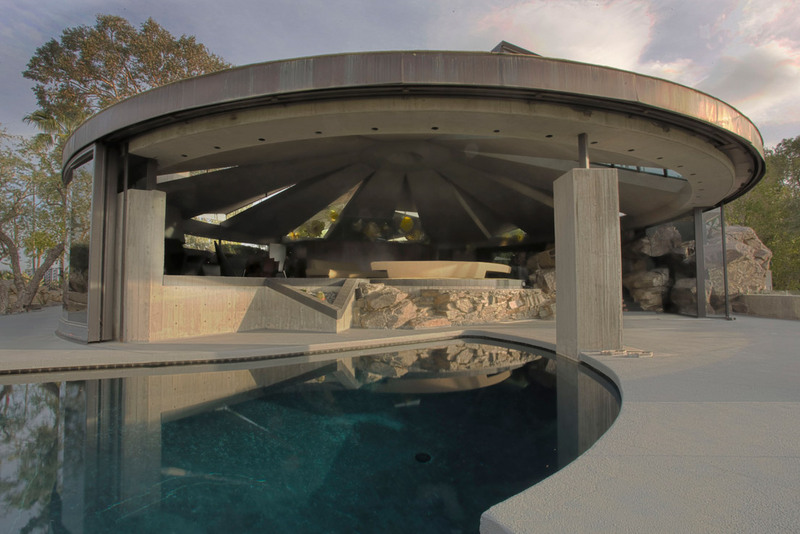 Over the course of a career spent largely in Los Angeles, John Lautner (1911-1994) captured the essence of Southern California in more than 150 distinctive structures. 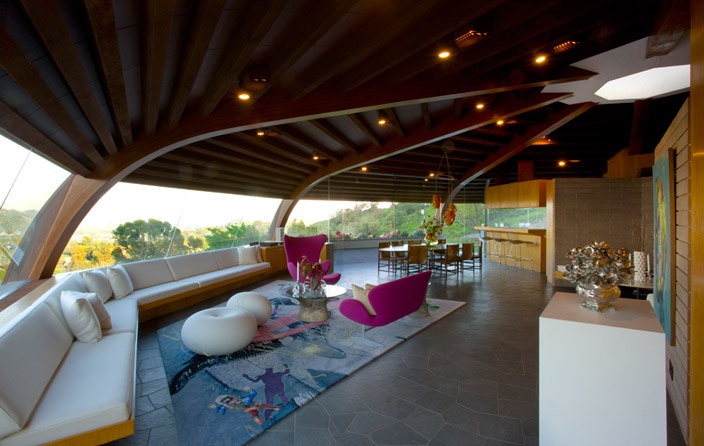 Trained by Frank Lloyd Wright, Lautner is best known for such private homes as the Elrod Residence in Palms Springs, featured in the James Bond movie Diamonds are Forever, and Los Angeles's iconic "Chemosphere." 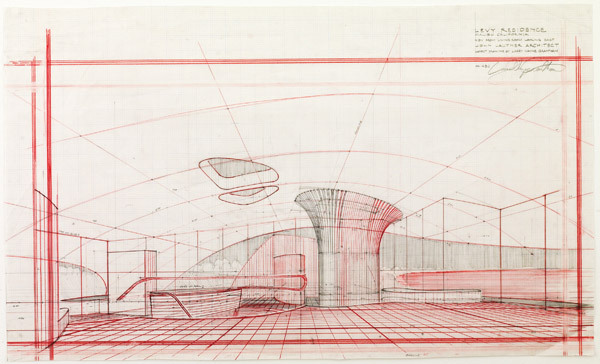 With over 100 original drawings and models, spanning a 50-year period, this exhibition will present Lautner's central ideas on structure, siting, line, and space. Short films by award-winning documentarian Murray Grigor commissioned for this exhibition and a group of large, newly fabricated models will convey the sensation of fluidity and spatial movement experienced in Lautner's buildings. 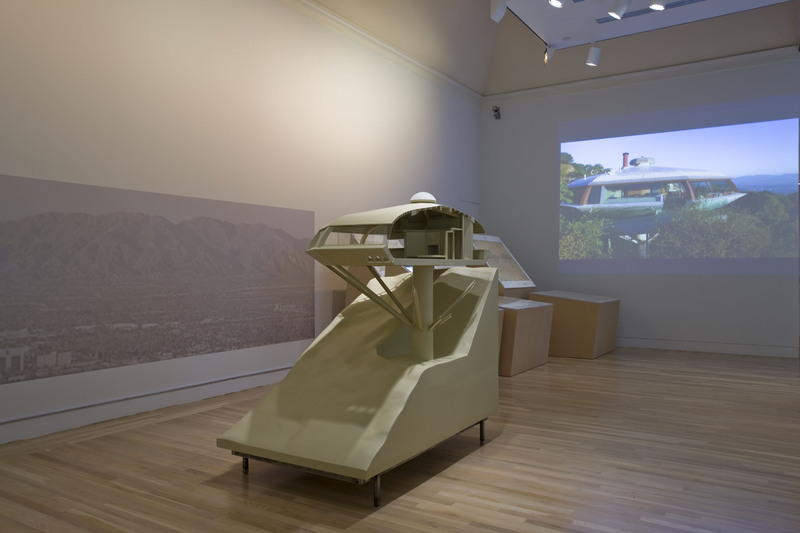 Organized by the Hammer Museum, Between Earth and Heaven is curated by Nicholas Olsberg, a cultural historian and expert on modern American architecture, and Frank Escher, an award-winning architect who helped establish The John Lautner Foundation. 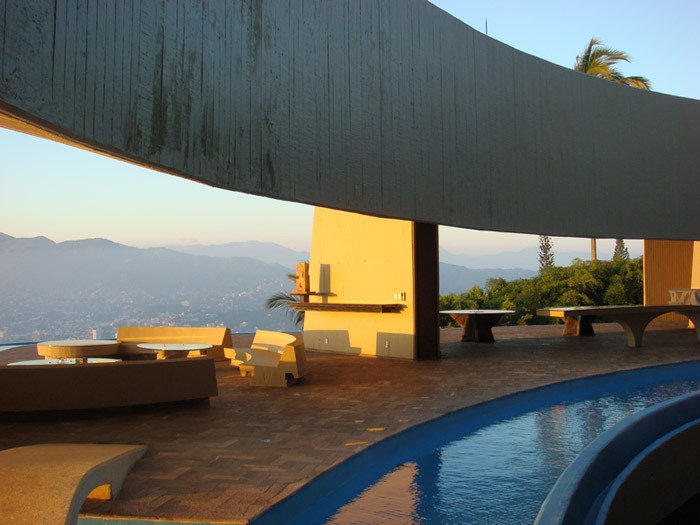 John Lautner (1911-94), one of the most important and influential architects of the twentieth century, had a remarkable career spanning nearly six decades. Residing and working in Los Angeles during much of that time, his designs are known for their radical innovation with specific attention to materiality, space and a consciousness of the natural environment. While Lautner has attained a cult-like status in the world of architecture and design, until now his achievement remains little known and often misunderstood by the public at large—from his infamous coffee-shop “Googie” style at the start of his career; the misperception of his poetic experiments with form as Space Age or dystopic; to the dismissal of his later, perhaps most meditative houses, as Hollywood showcase. 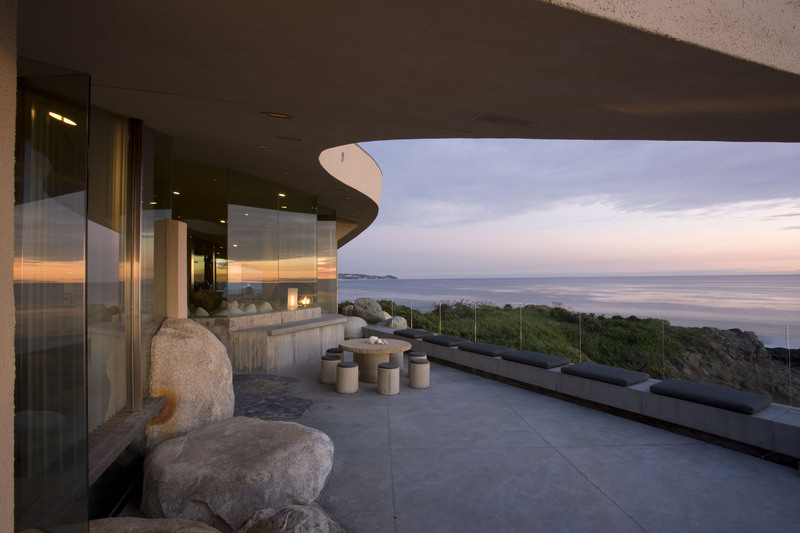 The Hammer Museum brings John Lautner’s legacy and creative process to a wider audience by presenting the first major exhibition survey of his work: Between Earth and Heaven: The Architecture of John Lautner, on view in Los Angeles from July 13 through October 12, 2008. 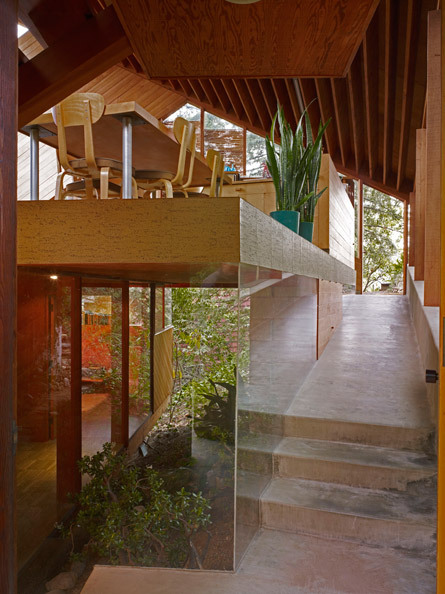 An aesthetic, philosophical and social visionary, Lautner made buildings that continue to amaze architects and patrons alike with their formal variety and freedom, their structural originality and their sculptural force. 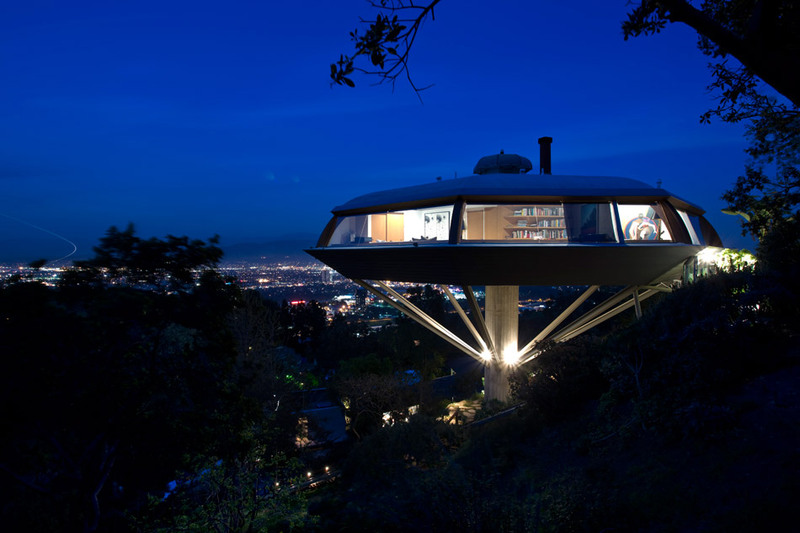 Lautner’s work has come to represent some of the most important examples of architecture in Southern California including private residences such as Elrod House (1968) in Palm Springs and Malin House (1960) in Los Angeles—also known as the “Chemosphere,” which hovers high over a canyon balanced on a single support—all iconic examples of his work and vision. 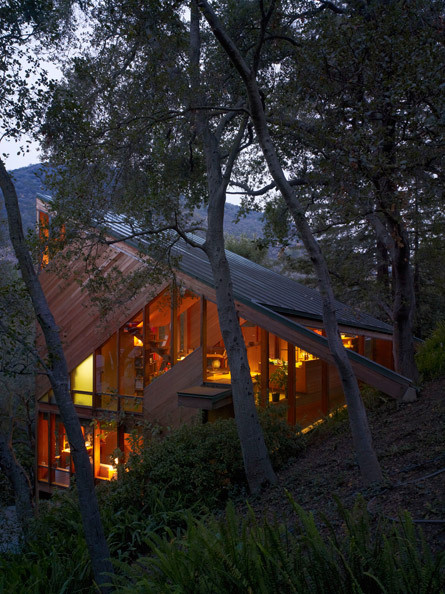 Lautner is often referred to as an architect’s architect and many renowned practitioners, such as Frank Gehry, have cited him as an abiding influence. 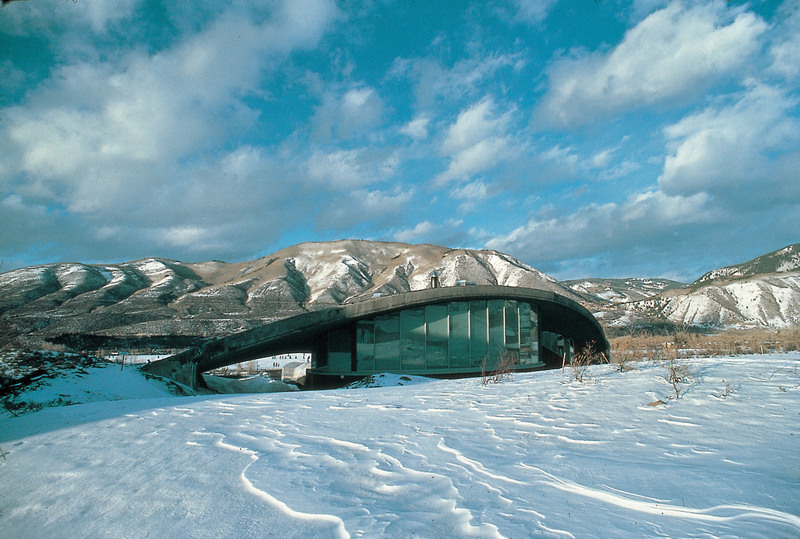 One can see the influence and legacy of his vision time and again in the work of architects that have followed him. Curated by historian Nicholas Olsberg and architect Frank Escher, Between Earth and Heaven will feature an exhibition design that is as visceral an experience as Lautner’s buildings themselves. Newly crafted large-scale models will give a sense of the internal spaces and scale of key projects and digital animations will reveal Lautner’s construction processes. Short color films by prize-winning documentarian Murray Grigor will convey the sensation of movement through these buildings and their sites, helping the visitor to feel the “vitality within repose” that Lautner sought to create. Surrounding this dramatic core will be a wealth of archival materials, including never-before-seen drawings, architectural renderings, study models and construction photographs which will offer visitors insight into how the structures and spaces unfolded in Lautner’s mind and emerged physically in their settings. 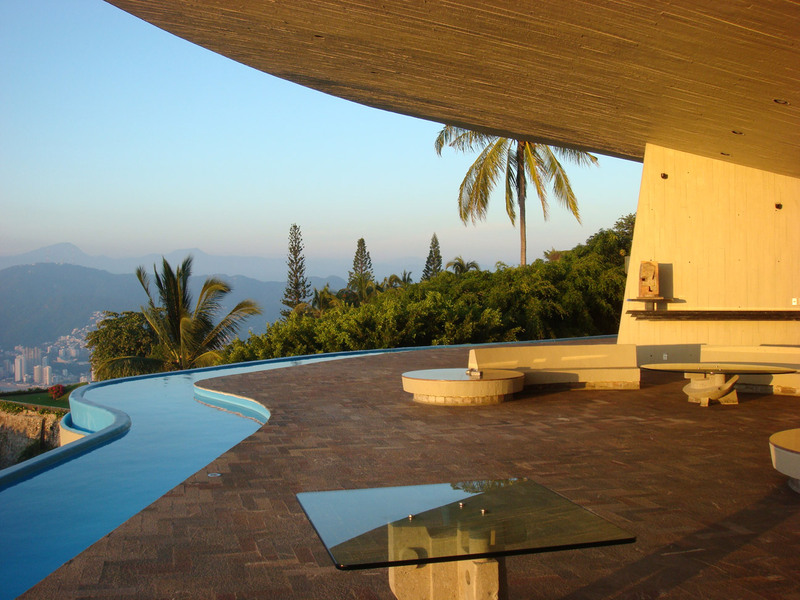 An international tour is planned for Between Earth and Heaven: The Architecture of John Lautner, which will bring the exhibition to audiences in cities in the United States as well as Europe. Accompanying the exhibition at the Hammer will be a richly illustrated and comprehensive full-color catalogue published by Rizzoli International Publications, Inc. and a full range of public programs, including lectures, screenings, a symposium on modern and contemporary architecture, and walking tours of notable modernist homes in Los Angeles. 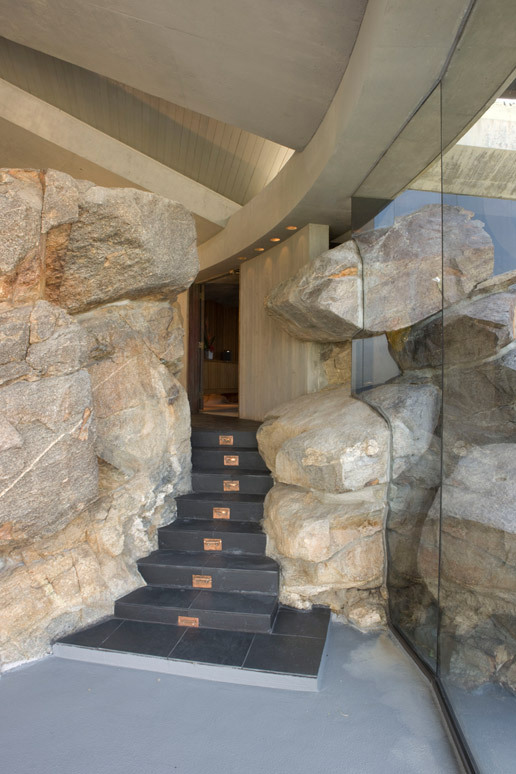 From spectacular bachelor pads to single-family gems, experience John Lautner’s architecture by visiting some of the city’s most remarkable residences. 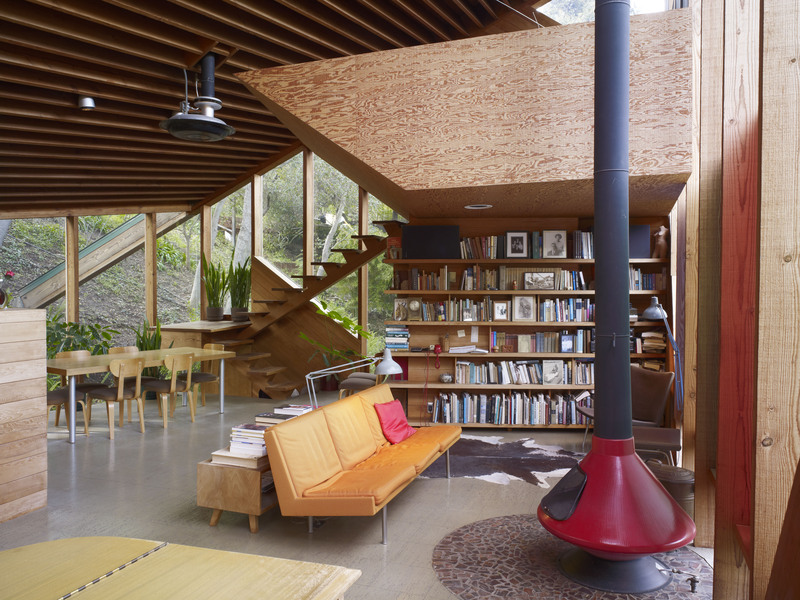 Lautner House tours are presented in collaboration with the MAK Center for Art + Architecture at the Schindler House. This exhibition is made possible through major gifts from the Dunard Fund USA and Frank and Berta Gehry. Generous support has also been provided by the Lloyd E. Rigler–Lawrence E. Deutsch Foundation and Helen and Sam Zell. It has also been made possible, in part, by the 1011 Foundation, Inc., Bobby Kotick; the Harriett and Richard Gold/Gold Family Foundation; Ronnie and Vidal Sassoon; the City of Los Angeles, Department of Cultural Affairs; The Fran and Ray Stark Foundation; the Graham Foundation for Advanced Studies in the Fine Arts as well as Michael W. LaFetra, Trina Turk and Jonathan Skow, and Adele Yellin. The catalogue is published with the assistance of The Brotman Foundation of California and The Getty Foundation. Los Angeles Magazine is the official media sponsor of the exhibition. 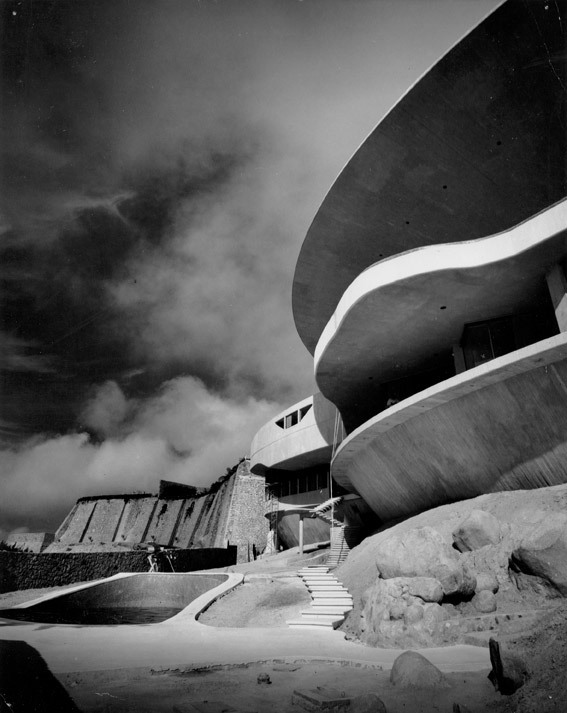 This exhibition was organized in cooperation with The John Lautner Foundation and The Getty Research Institute, Los Angeles.